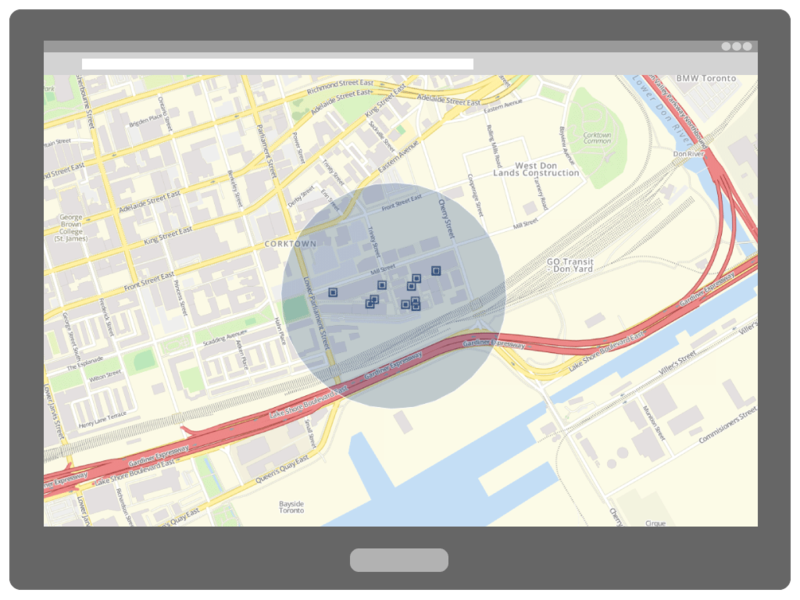 Spotzi offers you a way to find all points of interest within a certain radius and plot them on a map. With the Points of Interest (POI) App, you can instantly find POIs of any category or name within a specific range from the location you enter. This is convenient if you want to find a restaurant in your neighborhood or if you want to find the competition in your catchment area. Upgrade to Spotzi Enterprise and start using our POI app. Choose your radius plus the POI category/name, and then the POI Maps App will search the points of interest and turn the results into a mapped out data layer in your visualization.